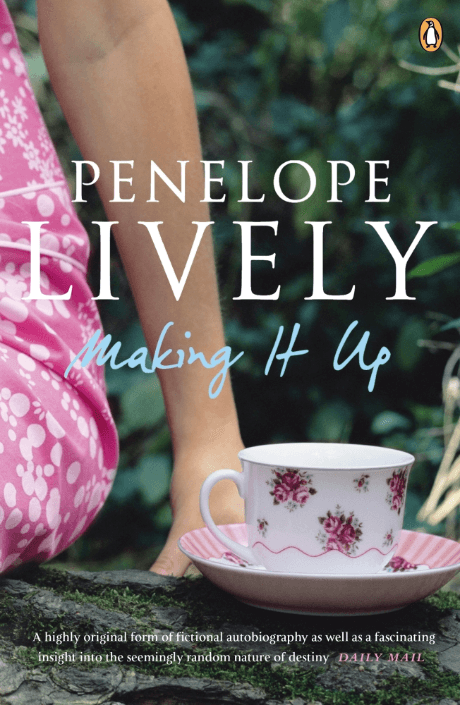 A highly original work, in Making it Up, Penelope Lively examines alternative destinies, choices and the moments in our lives when we could have chosen a different path. In this fascinating piece of fiction, Penelope Lively takes moments from her own life and asks ‘what if’ she had made other choices: what if she hadn’t escaped from Alexandria at the outbreak of WWII? What would her life have been like if she had become pregnant when she was 18? If she had married someone else? If she taken a different job? If she had lived her life abroad? "[A] highly original form of fictional autobiography as well as a fascinating insight into the seemingly random nature of destiny." "[Lively's] writing has always tackled deep questions of identity, memory, love and loss . . . These elegant 'confabulations', as she calls them, allow Lively's talents full range. Intelligent, limpidly well-written and full of human understanding, they evoke the times she has seen and the richness of other lives as well as her own." "Lively is one of our longest-standing and best-loved novelists, and rightly so, for she manages to sustain a true interest not only in the real life on which she gives us her fictional slant but also in the form of her own art. . MAKING IT UP is a truly novel book . . . . "
"At a time when the confessional tone has become ubiquitous, Lively skilfully plays with ideas around memory. Many of the stories are linked by the very act of remembrance, whether it's the significance of a long-lost locket or a woman reflecting on a marriage that has ended. "